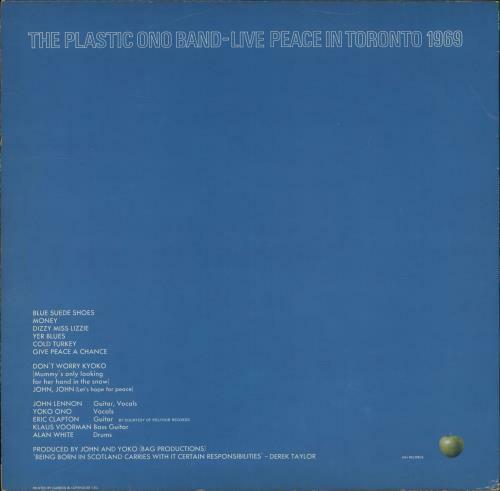 PLASTIC ONO BAND Live Peace In Toronto 1969 (1970 UK first issue 8-track vinyl LP with the '33 1/3' centered over 'Mfd. 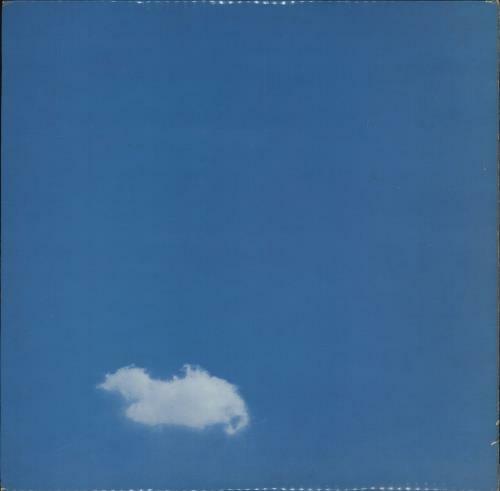 in U.K.' on the Applel label, recorded live at the Toronto Rock and Roll Revival festival with a backing band put together at the last minute featuring Eric Clapton, Klaus Voormann and drummer Alan White, fully laminated picture sleeve with white Apple inner. The sleeve shows a few light laminate creases and the vinyl is Excellent with the odd light sign of play CORE2001).